Norepinephrine can be used as a drug in patients whose blood pressure has dropped dangerously low. Norepinephrine is a type of neurotransmitter that is responsible for moving nerve impulses between neurons. Sudden headaches can be a serious side effect of norepinephrine. Nausea and vomiting are possible side effects of norepinephrine. One possible side effect of norepinephrine is hives. Norepinephrine is a type of neurotransmitter, which is a chemical responsible for moving nerve impulses between neurons. It is found in both the central and sympathetic nervous systems, and it is made by the adrenal gland. Besides acting as a neurotransmitter, this chemical also acts as a stress hormone. It has a role to play in a person’s fight-or-flight response, working in conjunction with epinephrine. In this role, it increases a person’s heart rate and blood flow to the muscles; it also stimulates the release of blood sugar and is often compared to adrenaline. Sometimes, norepinephrine is used as a drug. It is often used to treat patients with low blood pressure, especially the type that is considered potentially fatal. For example, it may be used in situations in which a medical condition or medical emergency has caused a person’s blood pressure to become dangerously low. It may be used when it is necessary to perform CPR, for instance. Typically, this chemical is injected into a patient’s body through a large vein. It is usually administered in a hospital, but it may also be used elsewhere in an emergency medical situation. 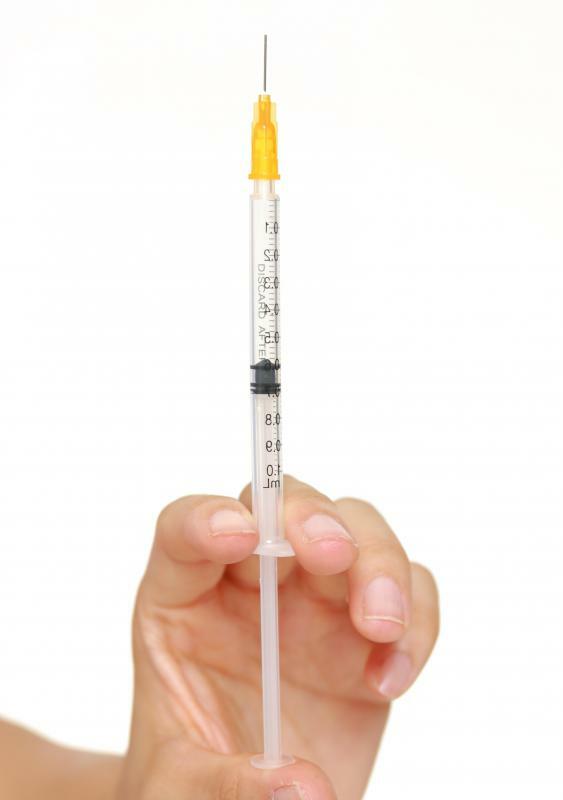 Depending on how quickly the patient responds to the injection, the medication may only be used for a short time, but some people have to take it for a week or more. Most patients do not have to worry about missing doses accidentally, as a medical professional usually administers the injections, and the patients do not have to remember when it’s time to receive a new dose. Though this medication can be lifesaving, it does have the potential to cause certain side effects. 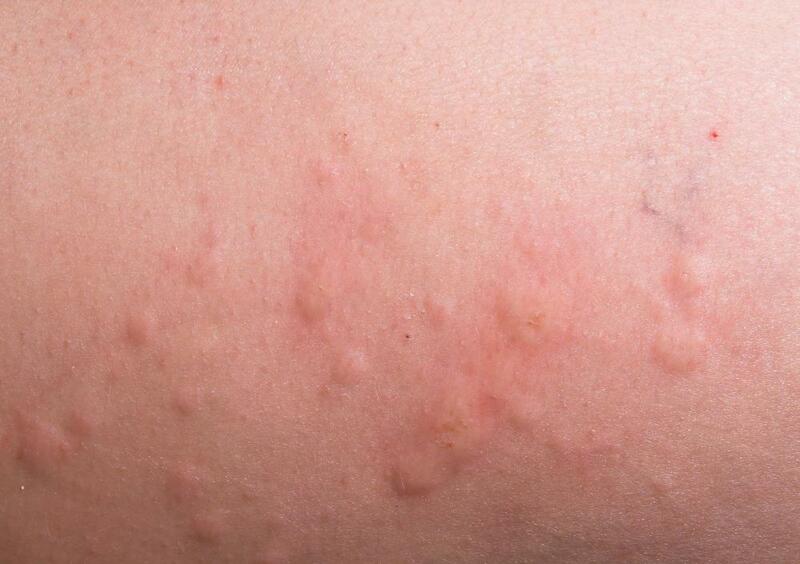 For example, a person may develop hives and have breathing problems, or he may have facial, mouth, or throat swelling. Any of these side effects should get immediate medical attention. Other serious potential side effects of norepinephrine include pain or weakness in the muscles, numbness in the extremities, bluish lips and nail beds, and skin that looks discolored and feels irritated. Some people may experience nausea and vomiting, and the lack of normal amounts of urine is another potential side effect. Also among the serious side effects of this medication are headaches that come on suddenly, disorientation, speech problems, and vision changes. A patient should inform a medical professional right away if he experiences any of these symptoms while on this drug. What Are the Functions of Norepinephrine? What are Serotonin and Norepinephrine? 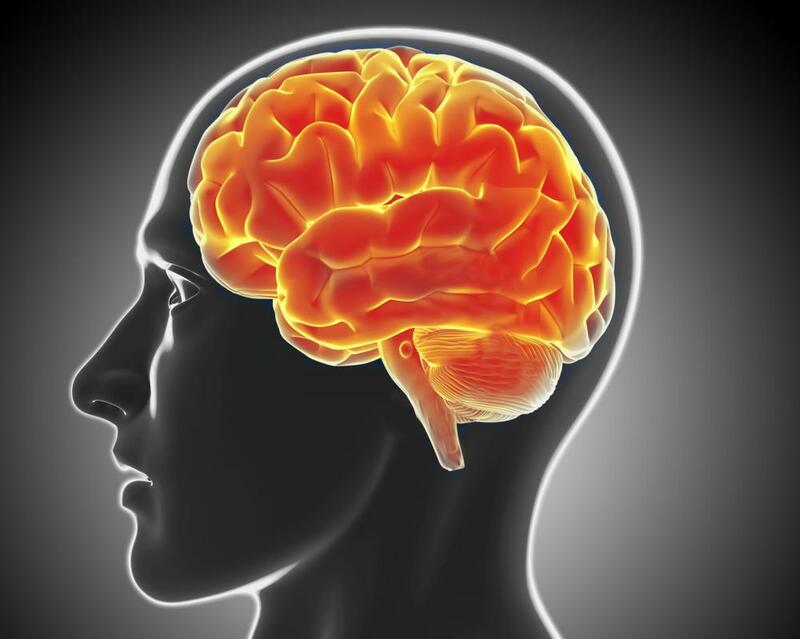 How are Dopamine and Norepinephrine Related? My friend received a shot of norepinephrine after he began to crash in the hospital. He was coming out of gall bladder removal surgery, and his blood pressure had dipped dangerously low. It was the scariest feeling in the world. I actually thought he might die in front of me. I have never been as relieved as I was when the doctor injected him with norepinephrine and his heart rate returned to normal. I am familiar with the fight-or-flight response brought about by norepinephrine. I have extremely quick reflexes, and I also am a generally nervous person, so my mind often perceives harmless things as threats and signals my body to react accordingly. I once was driving and suddenly caught a glimpse of a bird out of the corner of my eye. Before my mind had a chance to recognize it as harmless, my body received a rush of blood, and my heart began beating so fast that I could feel it in my chest. It took about ten minutes for me to stop shaking and for my heart rate to return to normal. I also had that metallic taste in my mouth that always comes with the rush of adrenaline. @cloudel – I didn't know that a norepinephrine deficiency could cause congestion and drooping eyelids. My mother had this condition as well, but her symptoms were different than those your cousin experienced. She had always had a passion for food, but suddenly, she found herself without an appetite. Things that she enjoyed doing before brought her no joy, and she simply could not experience pleasure anymore. This alone would be enough to bring about depression. Luckily, there are very effective medications out there to help people with this type of deficiency. My mom's medicine brought her out of her gray existence and back into the joy of her old life. My cousin was clinically depressed, and her doctor discovered that her condition was due to a norepinephrine deficiency. He diagnosed her because of a couple of symptoms that seemed to be dismissible, and she hadn't even put much thought into why she had them. Her eyelids had been drooping, and her nose stayed stuffed up most of the time. She had just been attributing this to allergies, but combined with her depression symptoms, they pointed to a lack of norepinephrine in her system. Her doctor gave her a norepinephrine reuptake inhibitor. She has been doing much better since she started the medication. how does each substance in the body seek special receptors and why are some selective but others are not? Doesn't the level of Norepinephrine in the brain also relate to mood?